Last Saturday, Norge Rundt participants got together to solve the problem of some missing colors in Edvard Munch’s famous painting, Skrik (Scream). In order to find the missing colors, however, we first had to figure out what to call them and how to make them! 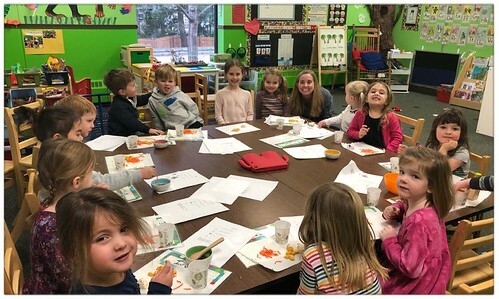 Approximately 500 Eden Prairie preschoolers have been busy learning Spanish this year, with weekly visits from two teachers (Veronica and Mayra) who “parachute” into regular preschool classrooms to share short language lessons with the kiddos. 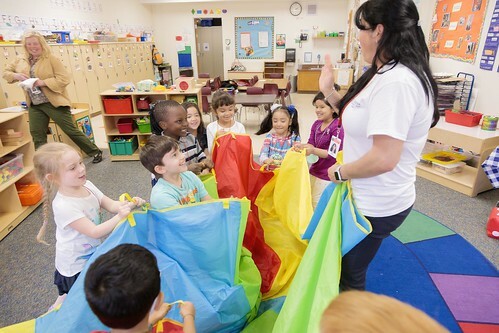 We have big groups and small groups, older groups and younger groups, but every day is a new experience working and playing with language! 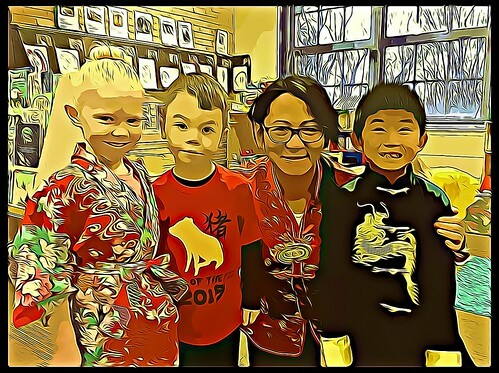 Preschoolers in Minnetonka celebrated Chinese New Year (CNY) last week, finishing up a special J-Term focusing on the delights of Chinese food. To start off, students were invited to write a Chinese character with Chinese calligraphy brush. They could choose either 福 Fú, which means blessing, or 春 Chūn, which means Spring. This past Friday, French preschoolers explored the natural wonders of Switzerland! We’d been visiting France in the weeks before, spotting the great landmarks of Paris and spending some time ocean-side in the south of France. We even had a chance to do some decoupage inspired by the artwork of Matisse before heading off to Switzerland. 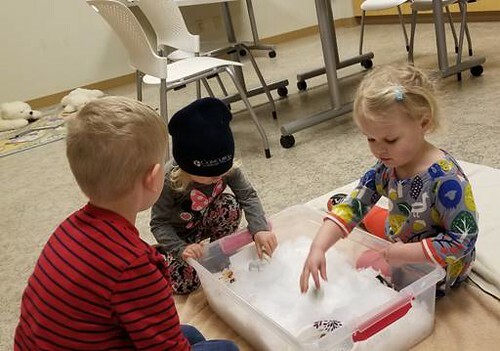 The theme for Norwegian preschool J-term is Life in the Arctic (Arktis). What better way to start out the theme than by playing with snow? It was pretty crunchy, but after warming up a little indoors, it was just fine to play with. The arctic sensory bin contained “real ice!” hills and a variety of animals found in arctic regions. We invented a game of hiding the white animals in the white snow and trying to find them. The harepus turned out to be quite elusive!